A six-year-long study on the impact of the CEO's mood during earning calls, on stock prices, found that the timing of these calls were critical. The time of day seemed to influence the tone of the calls and the stock price. Earning calls in the morning were generally upbeat. The calls grew negative, irritable, and combative in the early afternoon compared to those morning calls. The study included 26,000 earning calls from more than 2,000 public companies, according to author Daniel Pink in When: The Scientific Secrets of Perfect Timing. The takeaway for CEOs is to schedule crucial meetings and calls in the morning for better results. Timing shapes success or failure, positive or negative perspectives, even physical health. As per Pink, hospital staff routinely wash their hands less frequently in the afternoon versus morning hours. Students test better in the morning. And so on. How does timing work in the e-commerce billing world? It can come down to how frequently businesses send invoices to customers. Subscription-based businesses typically strategize their subscription plans to appeal to different audiences. This helps break pricing levels down, reducing the price barrier for customers that cannot or do not want to make a large, one-time purchase. However, there is no one-size-fits-all tactic to billing frequency, so it’s important to figure out what combination of plans complements your customers’ needs while giving you the cash flow to keep your business fiscally healthy. After all, billing frequency directly affects internal components such as cash flow, a necessity for fiscal health and for scaling your company. Let’s take a look at some different billing cycles that are popular with subscription management and SaaS businesses. With an annual billing plan, your customer pays you ahead of time for the entire year. Often, businesses offer a reduction, such as 10% off the full cost, to entice customers to pay annually. This helps raise the incentive to make that large upfront payment, versus spreading out the subscription over several smaller amounts. There are a number of pros and cons to billing for one full sum on an annual basis. If you are manually billing your customers, there is only one invoice generated a year per customer. Your cash flow is higher because customers pay the full fee ahead of any services. Customers find one annual invoice more convenient than monthly invoices. If you are using a third-party payment system that charges you per transaction, the number of transactions is reduced, so your transaction costs are substantially lower. Your churn rate is reduced because a customer that pre-pays for services is more likely to use that product throughout the year. Plus, your customer support team has more time to help customers understand the value of your product. When billing manually, it’s easier to divide the workload into two sections: billing on the 1st of the month and then the 15th of the month, for example. There are more barriers to your product, because only a certain number of customers can afford a large payment. If your SaaS company offers user licenses for their product, annual billing is more difficult because the number of licenses a customer may need can vary throughout the year. Tracking earned revenue versus deferred revenue in accordance with GAAP (Generally Accepted Accounting Principles) can be problematic. Communication is more of a challenge, since there is only one invoice generated. Businesses need to bump up alternative communications so they don’t lose touch with their customers. The time allowed for chargebacks is greater than more frequent billing, so a business can get hit with pricey chargeback costs after several months of the customer using the product. Invoicing customers every month is another popular option for recurring billing businesses. A monthly billing plan is particularly appealing to B2B businesses that generally target small-to medium-sized businesses (SMBs), or B2C businesses that focus on single customers. Businesses receive payments every month, versus one large sum at the beginning of an annual billing cycle. Customers don’t feel ‘trapped’ in an annual commitment. Communication between a business and their clients is increased, because there is interaction at least once a month. This gives the business more opportunities to underscore their products’ value to the customer. Customers are more likely to churn out if they fail to realize the perceived value of your product for one reason or the other. Businesses that use manual billing have a more difficult time tracking payments, following up on missed payments, etc. Transaction costs are higher, because you are processing 12 payments for a customer a year, versus just one with an annual subscription. The cash flow is potentially lower, because the business is receiving smaller payments throughout the year. 3. Quarterly or bi-monthly billing. Just like ‘Goldilocks and the Three Bears,’ sometimes the first two options are simply not right. In that case, it might be best to offer billing every two or three months. This would be ideal for yet another demographic that can’t swing an annual payment, but also doesn’t want to be billed every month. This type of billing plan is often used by utility companies and insurance companies that opt to bill customers every 2 or 3 months. In fact, one study found that with water companies, as the billing frequency increased, usage surged by as much as 3% to 5%. Companies that bill manually do not need to create invoices every month. There is a balance with fewer invoices, while still making payments manageable for customers. Churn rates are lower than monthly subscribers. The unusual billing frequency may create confusion for customers. Since payments will be larger than monthly rates, there is an increased chance for the credit card being rejected. In very small businesses, there might be an occasion for even more incremental billing, such as bi-weekly, weekly or even daily billing. Billing at these frequencies gives a more predictable income, but it can prove to be a headache if it isn’t the best fit for your business. Examples of companies that bill at this frequency include businesses that deliver a daily product, such as a newspaper or food deliveries. This is a good option for businesses that have customers with short life cycles. Steady incoming cash flow helps manage marketing efforts. A tremendous amount of time may need to be assigned to billing-related activities. In instances where billing platforms charge per transaction, this option is not fiscally sound. If you chose to bill every two weeks, it can cause confusion because there isn’t a consistent number of weeks in each month. What is the sweet spot of billing frequency for your company? Chances are, a combination of several billing plans is an ideal solution to increase your customer base. You can determine the best billing frequency for your business by asking yourself a number of questions first. 1. What is your ARR (Annual Recurring Revenue)? The lower your ARR, the more important it is to keep your billings more frequent, such as monthly billing to help with cash flow and build value into your product. 2. Do you offer pricing mobility? If your business is structured around different product and pricing tiers, annual billing may not be the best option. Historically, businesses with elasticity built into their pricing, such as SaaS companies that offer a variety of products within their pricing structure, may see those needs change over time. Consequently, with less frequent billing, the moving pricing target may become hard to manage. 3. 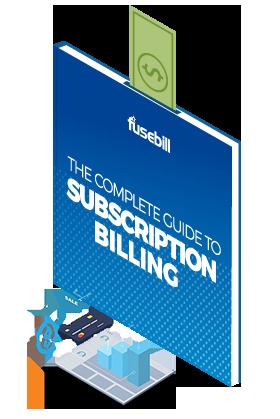 Does your company bill manually or does it use a recurring billing platform? Manual billing can be problematic if you plan on invoicing them in smaller intervals, such as bi-weekly or monthly, because it creates a lot of work for your accounting department. A subscription billing platform gives you the flexibility to offer different billing frequencies and puts the power to make changes in the customers’ hands. If you are targeting SMBs, an annual billing cycle with a large payment is likely to be a barrier for them to use your company. However, if your target market is large corporations, your product may be routed through that company’s purchasing department, who may only want to issue payment once a year. When determining the best billing frequency option for your company, make sure to clearly demonstrate the different options for your customers so they can decide which payment plan is most suitable for their needs. As Pink said, “A world of flat organizations and tumultuous business conditions—and that’s our world—punishes fixed skills and prizes elastic ones.” The same could be said for billing frequency.